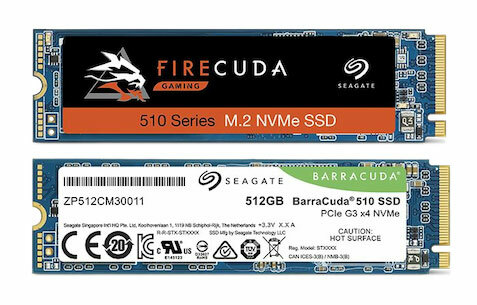 Seagate has added SSDs with SATA and NVMe interfaces to its popular Firecuda, Barracuda and Ironwolf hard drive ranges. The new Firecuda 510 and Barracuda 510 NVMe SSDs in the M.2-2280 form factor are addressed via PCIe 3.0 x4. They use 3D cTLC memory and reach a maximum sequential read rate of up to 3,450 MB/s. However, the two models differ significantly in the write rate, which is a maximum of 2.1 GB/s for the Barracuda 510 and up to 3,200 MB/s (2 TB model) or 3,060 MB/s (1 TB model) for the Firecuda 510, since the double-sided configuration enables parallel writing for faster storage. The Firecuda 510 offers Seagate as models with 1 TB and 2 TB storage capacity, which can reach up to 620K for reading and 600K for writing. The Barracuda 510 achieves 340K IOPS in random read and 500K IOPS in writing and comes in versions with 256 and 512 GB capacity. The two new models come with a 5-year warranty and are scheduled to be launched in the spring - including Seagate's SeaTools SSD GUI dashboard for easy data management. 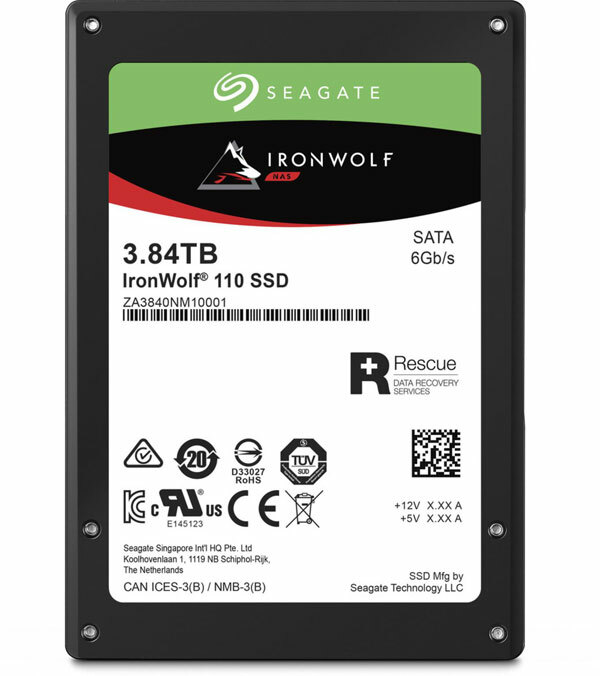 The www.seagate.com/de/de/internal-hard-drives/ssd/ironwolf-nas-ssd/ model (IronWolf 110) was specially developed for use in NAS systems and is the Enterprise model with a long service life and high reliability. The IronWolf 110 comes in capacities between 240 GB and 3.84 TB, achieves a reading speed of b is to 560 MB/s and a writing speed of up to 535 MB/s. The IronWolf 110 can be used in a wide range of applications.